Finding The Right Millionaires Mentor to Help Take You and Your Business to the Next Level. Anyone can get you most of the way there, but it takes someone truly special to help you achieve true excellence. A Millionaires Mentor works with millionaires to help them personally and their businesses to grow. More generally, they’re mentors who work with people who are already successful but want to take their businesses to the next level. Many of them won’t work with anyone who hasn’t achieved a million or more in sales—hence the name—and none of them will work with people who aren’t absolutely dedicated to improving their businesses and themselves. Can I find a Millionaires Mentor for Free? Probably not. As you would imagine, Millionaires Mentors value their time highly. After all, an hour spent on your business is an hour not spent on theirs. If you’re not quite making a million yet, surround yourself with those who are. It’s said that you are the average of the six people you spent the most time with, so spend your time with successful people. If you are making a million plus in sales and would like my help, why not consider joining our Mastermind Group Scholarship program, or, your best chance to find a Millionaires Mentor for free is to find a recent retiree with more than one multi-million dollar success on their CV. Recent retirees often look for ways to give back to the community that helped them achieve their success. Many of them are considering a transition into paid mentorship and are looking for a test subject. Look at your industry and adjacent industries and try to build a list of ten to fifteen candidates and approach them in a systematic fashion. “Do your research”Follow your candidates on social media like mine Google, Linkedin, Twitter and Facebook. Interact with them as appropriate, but don’t go overboard. You’re trying to foster a relationship with someone and nothing puts a potential mentor off like the over-eager. That said, pay attention to what they like. Do they golf? Fish? Enjoy fine scotch? Pay attention to the things they do that aren’t about business. How do they spend their time when they’re in it for nothing but enjoyment? Now, look for a gift that ties into what they like. Books make an excellent choice—everyone wants to learn more about what they love. Don’t send the obvious entry-level nonsense. Find something that explores the topic at an advanced level or goes very deep into a particular aspect of their interest. If they like scotch, wine, cigars, or any sort of epicurean pursuit, consider sending them something new. You really need to know what you’re doing. You can’t bond with someone over something you know nothing about. Send the right gift and you’ll look thoughtful and knowledgeable. Send the wrong one and you’ll look incompetent. Millionaires Mentors won’t work with people they think are incompetent. Once you’ve decided on a gift, send it with a short note. “Hi John, I saw this book and immediately thought of you.” is on target. Sign it simply and don’t—DON’T—ask for anything. Don’t even include a business card. The point of the gift is to get you noticed as a thoughtful, intelligent person. Asking for something at this point will destroy the whole relationship before it gets started. About a month after you send your gift, send a follow-up note asking how they enjoyed it and include a very small ask. Don’t ask to meet. Don’t give a long explanation of your business. Just ask if they can recommend a book or article that will help you build your business from X to Y or Z. If you approach ten possible mentors, you might find that two or three respond back. Don’t take it personally. If they don’t respond, they probably wouldn’t have made a good mentor anyway. When a potential Millionaires Mentor recommends a book, read it. Read it closely. Read it carefully. Then contact your potential mentor with a comment regarding how you’ve implemented something you’ve learned or a question or two about how you could implement something. You’re trying to look intelligent and curious. You want to come off as someone who is not only willing and eager to learn but capable of taking a general concept and applying it to a particular business case. If you run an event—or know someone who does—consider inviting your potential mentor to speak at your event. Doing so demonstrates that you value what they have to say and helps you stand out from the crowd. Your potential mentor probably gets a number of speaking invites, but that number pales in comparison to the number of hangers-on and toadies that pester them with questions daily. If they speak at your event, make sure you introduce yourself and make absolutely sure they have an excellent experience. Make sure they have a great room, assign a volunteer to get your guest where they need to be when they need to be there. If you’re not running the event, consider doing this yourself. When the event is over, make sure you send a thank-you note. If you could take your business to the next level with little tweaks here and there, you’d have done it already. You can’t. It’s going to take action. Bold action. Decisive action. Sometimes painful action. Sometimes those actions won’t work. Nothing is successful every single time. Nothing. Maybe you implemented something poorly. Maybe you simply took the wrong action. Maybe a lot of things. There’s no roadmap to the next level. Every business leader has to find a new route. Even the best mentor can’t do much more than point you in the right direction. Finding someone to mentor you for free takes a lot of time and a lot of work. You can bypass much of it by simply hiring a Millionaires Mentor. They aren’t cheap—they value their time highly—but if you’re truly willing to put in the effort to take the next step, their help can be invaluable. My name is Moe Nawaz and I’m a Millionaires Mentor. In the corporate sector, I charge £15,500 a day and only work with companies with sales of £500 million I charge that much because I know that implementing some of my suggestions can easily return hundreds of thousands of pounds in additional revenue. My goal in this piece isn’t to impress you, it’s to impress upon you the value of working with someone who has been there. The help you get from a Millionaires Mentor is, quite literally, priceless. That help—that relationship—can mean the difference between being a run-of-the-mill success and being a legend. It can be worth hundreds of millions of pounds/dollars in additional revenue over the course of your business career. I might be the right mentor for you. I’ve worked with many of the top leaders of the FTSE 100 listed company leaders during my life. Taking a very conservative number and even cutting it in half, I’ve helped my private clients engineer predictable, scalable and sustainable revenue growths—in excess of £763 million. The first thing all of my mentoring clients learn is that I am not a textbook theorist. In the first few minutes of our relationship, every mentee learns that I provide time-tested strategies that have taken some of the most recognisable companies in the world and have helped them find nonlinear solutions to linear problems with predictable, scalable and sustainable revenue growth, some of my blue chip clients who I have served over the four decades. Simply fill out the form below and I’ll contact you to schedule a diary date. P.S. : One last thought to keep you up at night. If you don’t hire me, your competition might. 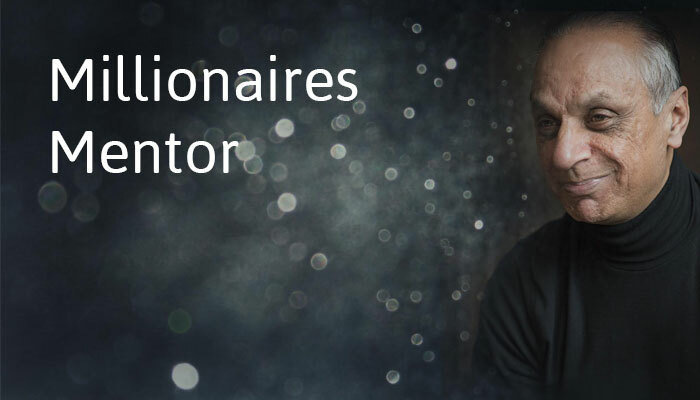 The Millionaires Mentor – Helping Leaders Engineer Predictable, Scalable Revenue Growth.